New Year’s Resolutions? Why bother? Q: Mr. Pedometer, am I the only adult who never makes New Year’s Resolutions? Why bother? 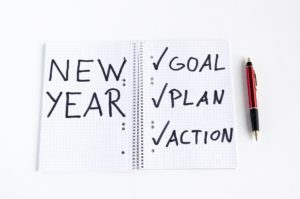 A: New Year’s Resolutions are just another name for goals. Some people say failing to set goals is like starting to drive your car with no destination in mind: How will you know when you arrive? With wildfires raging at both ends of California and filling the air with smoke we need to be even more aware of the air quality where we live before we head outside to get our steps in for the day or for any other reason. We hope that most of the fires will have been quelled before this weekend. However, there are several ways (besides looking up at the sky) that you can determine whether it’s healthier to stay indoors. The Bay Area News Group newspapers warned that “everybody is at risk” when the smoky air is loaded with soot particles that can affect our lungs and even our bloodstream. Most severely affected are children (whose lungs are still developing) and those who have respiratory conditions, such as asthma and COPD. Become familiar with the Air Quality Index, which rates air pollution levels on a scale of 0-500. Each day, these forecasts are printed on the weather page of the Bay Area News Group papers (including the East Bay Times) and can be found online (see below). “Anything between 150 to 200 has the potential to affect even healthy people, but patients with chronic heart or lung conditions can also be at risk for exacerbating underlying conditions,” according to Sharon Chinthrajah, a pulmonologist, and an allergist with Stanford Health Care. You can check for Air Quality Index listings at SpareTheAir.org. The newspaper article also cited AirNow (a government site) or PurpleAir. For some of us who are fortunate to have good health, being outdoors for an hour of moderate walking is no problem. 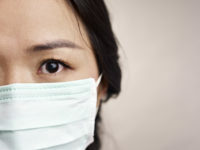 For others, on Spare the Air days, it can lead to hospitalization for life-threatening pneumonia. Quality air masks (N95 respirators) can help, but many stores no longer have them in stock. Staying indoors, with doors and windows shut tight, maybe the best for those at risk.